Memory loss can have many causes. You’re probably aware of diseases such as Alzheimer’s and Parkinson’s, both of which can cause memory loss in those affected. Similarly Huntington’s disease, a disorder that first manifests itself in middle age, is known to cause memory loss. Sometimes memory loss can be a side effect of chemotherapy in cancer victims, or epileptics and seizure victims can experience it. Memory loss may also be experienced when one gets a concussion from a traumatic brain injury, such as a sports injury or a car accident. Or, as we all know, just growing older can bring on memory loss. So how does one combat it? For years now, we’ve known ginkgo biloba to be a great herbal supplement in fighting memory loss. But as you may not know, studies have differed about its efficacy. In a recent study on ginkgo biloba, “researchers found that the extract did not prevent or delay memory loss or Alzheimer’s disease.” Butother studies have proven that it can improve attention in healthy individuals. So if ginkgo itself isn’t enough to fight memory loss from causes of all stripes, how should one go about improving memory retention and combating memory loss? Enter the Celastrus Seed. Celastrus paniculata is a medicinal herb that has been used for centuries in Ayurvedic medicine to improve concentration, sharpen memory, and increase intellect. Modern studies are currently being done to prove its efficacy and already signs are pointing to the Celastrus seed’s ability to improve the speed of learning and the length of information retention. Furthermore, pharmaceutical companies are pursuing studies of Celastrus as a memory aid; with a cultural history of Celastrus fighting memory loss and the positive modern studies being done with it, it’s only a matter of time before we see various memory pills and tinctures containing Celastrus seed, effectively knocking ginkgo biloba off the shelves. But you don’t have to wait for Big Pharma to give Celastrus a shot; you can have your Celastrus seed tincture right now with Cognihance. Cognihance is a safe and effective tincture, a formula developed by real people interested in fighting memory loss in their own families. Cognihance is all-natural and synthetic-free, is a perfect study aid for students and a great memory enhancer for people of all ages. Best of all, it has a 100% money-back guarantee. If you’re not happy with the product for any reason, you can get a full refund. But with the memory loss fighting abilities of the wonderful Celastrus seed contained in Cognihance, you’ll probably end up being a return customer! So give the Celastrus seed and Cognihance a shot; you really have nothing to lose and only a better memory and sharper intellect to gain! The “steel trap” mind is certainly more the exception than the norm amongst human beings. We tend to be more forgetful than not across the entire age spectrum. This makes memory loss, in the general sense, a very common phenomenon. Another term for memory loss is amnesia. Amnesia is commonly thought of to only apply if a person forgets very basic, key information about their identity, such as their name and place of residence, or if they fail to recognize their loved ones. This is a misconception, as amnesia simply refers to any sort of memory loss. So with this in mind, amnesia is a very common “problem”, though most amnesia is not severe enough to actually pose serious obstacles to day-to-day functioning. However, there’s a point after which amnesia, or the loss of memory, actually does become a problem. This happens to some older adults as a normal part of the aging process, but memory loss can also be a symptom of a larger disorder, such as Alzheimer’s or Parkinson’s disease. Memory loss can also be caused by stress-related activities. Excess amounts of stress cause the body’s vital systems and processes to function below their peak efficiency. This includes the mental processes as well—when the coating, or membrane, surrounding each brain cell is in disrepair, it can’t transfer and receive information as quickly or effectively. This results in slower recall times and a reduced capacity to access stored information. 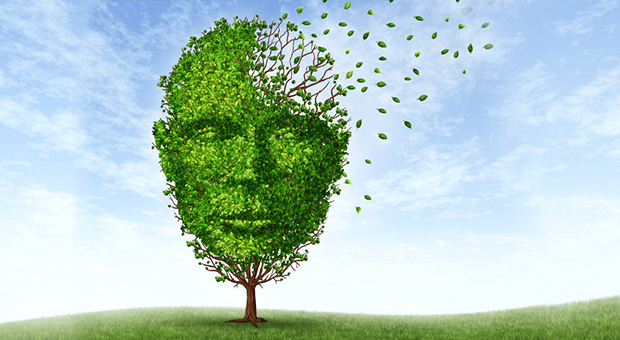 There are several ways in which one can prevent and combat memory loss. As you can probably guess from the above paragraph, one very simple way to do this is to simply de-stress. Another is by controlling the diet—studies show that certain “brain foods”, such as fruits and vegetables and whole grains, provide the brain with the complex glucose it needs to function at peak efficiency. Healthy fats, like Omega 3’s, also can play a big part in improving the memory: The aforementioned membrane surrounding each brain cell relies on Omega 3’s to work properly. Antioxidants such as Vitamins C and E are also great vitamins for memory, as they help prevent short term memory loss by keeping free radicals from damaging brain cells. For those of you who are focused on improving your memory skills, it certainly can’t hurt to change your diet or get rid of some of the excess stress in your life. Additionally, we would like to recommend our new product, Cognihance. We’ve gathered all of the best herbs known to fight memory loss and compiled them into a synergistic formula. Celastrus Seed, Brahmi, Gingko Biloba, Gotu Kola are the core constituents of Cognihance’s proprietary blend. Cognihance is one of the only products on the market to be shown in pre-clinical trials to actually increase retention rates and boost memory skills. And it’s the only product on the market that has our unique formula. If you have been wondering how to improve your memory or fight memory loss, wonder no longer! Order some Cognihance today!